June kicked off with a post by Scott Shafer of NPRNews regarding the drastic increase in California parole rates. Where previous years saw less than a 10% release rate for “lifers”, 2013 recorded a near doubling of this statistic. California governor Jerry Brown has reiterated that crime type is no longer as much of a determining factor for parole as is the level of threat an inmate poses to the community. For more about the parole increase, check out Matt Levin’s article about lifers freed from prisons as well as his timeline cataloging the history of California parole trends. “To the radicalized youth who demonstrated in 14 Brazilian state capitals on May 15, the World Cup represents a fundamental flaw in the Workers’ Party (PT) project,” writes Rodrigo Nunes in a news post from Aljazeera. While your friends are busy blowing up your Facebook feed about the soccer of World Cup, Brazilians continue to show outrage that the event has brought their country few winners, but many losers. For more about the political implications of the World Cup, check out Werner Krauss’ article on the Huffington Post. Here, he dissects the event from a structural-ritual perspective. Anthropoliteia also featured a post from Meg Stalcup in our continuing coverage of the World Cup. It’s not just police getting virtual these days- so are crime scenes. In a personal favorite post by Kashmir Hill of Forbes, Hill recounts the Internet trail left behind by Santa Barbara Shooter Elliot Rodger. The troubled youth produced several YouTube videos documenting his gradual decline into criminal violence. What would Jeremy Bentham and Michel Foucault have to say about Lebanese prison systems? Yazan al-Saadi’s post on Al-Akhbar evokes this and other questions about surveillance and control. The original panopticon envisioned a top-down power structure wielded by authority figures over non-authority figures. In the context of Lebanese prisons, however, this concept is turned on its head as it is the prisoner who seemingly wields ultimate control. Also in surveillance, the wife of ex-IRA prisoner Anthony McIntyre has requested a formal investigation by the US state department after sensitive information from a phone call with the US embassy appeared in a popular tabloid a few days later. 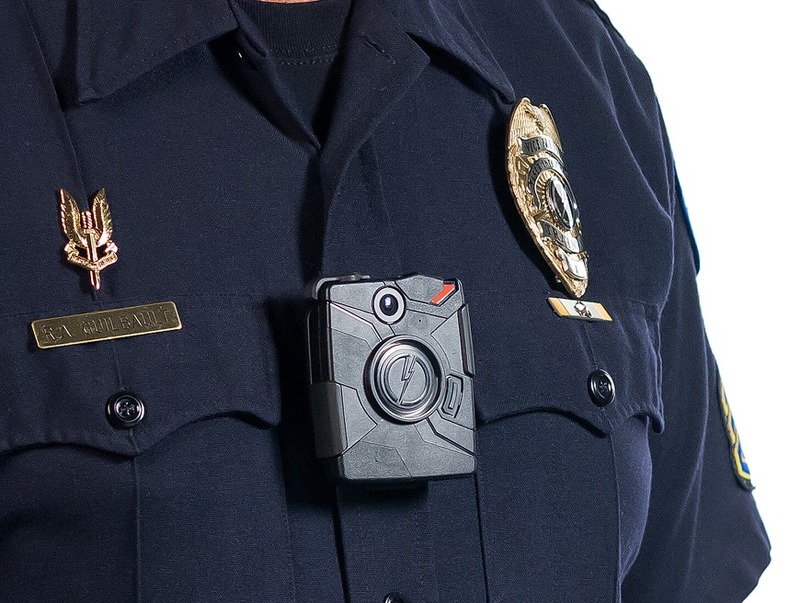 An unlikely economical analysis of police body mounted cameras appeared in The Motley Fool’s investing section. Ryan Lowery reflects on the potential profitability of the leading police tech companies (including TASER and L-3 Communications) that produce the majority of the equipment. Issues of excessive force, surveillance and militarization come to a head in Kent Paterson’s post on CounterPunch. Using recent examples of militaristic responses by members of the Albuquerque police department, Paterson builds up to a broader discussion about the impact of police technologies on aggressive responses and use of force by US police departments. Juvenile detention centers in California will be receiving $80 billion in coming months to rejuvenate current facilities. Several proposals for amenities and new features reinforce a community-based emphasis. Officials hope the restructuring will help to solidify rehabilitation as a prevailing theme. Tina Dupuy authored an engaging piece about casual vs. institutionalized racism in AlterNet this month. Why does the US rally more readily against casual comments than it does to institutionalized forms of racism (such as the prison system)? And further, does/can one form of racism lead to the other? “Ban them, ban them all with a carve out for hunting weapons,” says Scott Martelle from LA Times Opinion. Referring to his admittedly minority stance on gun control in America, Martelle proposes the next steps for eliminating gun violence in America.